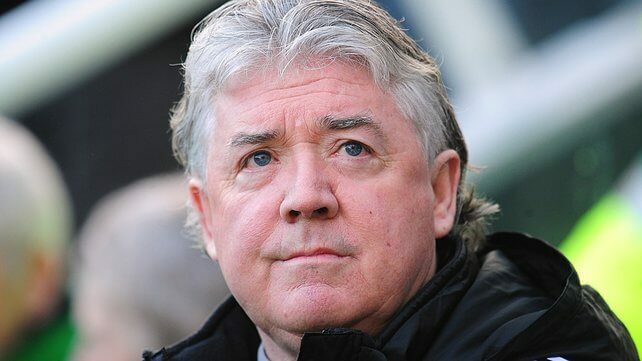 The Newcastle United Blog | » Joe Kinnear Learning His Job At Newcastle? Joe Kinnear Learning His Job At Newcastle? Newcastle’s Director of Football Joe Kinnear gave a long interview with Sky Sports yesterday, and it was before a Charity cricket match just north of London, where Joe Kinnear is still stationed. And like most Newcastle fans we cringed when we heard Joe had given another interview with the press, and we didn’t know what to expect from the Director of Football. But he was informative and reasonable in the interview, but he gave far too much information away on the status of Newcastle’s pursuit of Loic Remy, Bafetimbi Gomis and Darren Bent. 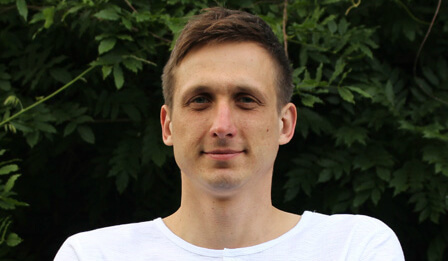 If it was a behind the scenes briefing by Joe and it wasn’t made public, it was exactly what the fans wanted to hear – where each deal stands and what the problems have been – but Joe shouldn’t go into that amount of detail, especially when we know other clubs are after those same three strikers. But it could have been worse, and Joe didn’t use any foul language, and he went out of his way to say that his job was on the scouting side of things, and that there was no animosity between Alan Pardew and himself, and in fact their relationship was a strong one. That could be true, and while we’re sure a lot of the press reports on Joe are too negative and not accurate, what doe Joe expect after giving that terrible first interview to talkSPORT, when he embarrassed himself, but worse still he embarrassed Newcastle United, and that’s like scoring a terrible own goal. And Joe kept saying the goalposts kept moving on the proposed deal with Lyon for Bafe Gomis, but that’s what happens in these deals these days, and they tend to be very complicated, and Joe needs to get used to it, because it’s part of his job to handle those situations. It’s like a commercial pilot saying he loves his job, but hates all the travel involved. But the interview was a decent one, and hopefully somebody, like Mike Ashley, will tell him not to give out so much inside information in the future, and he should tell that to Alan Pardew too. What do you think of Joe’s interview yesterday? Coming back to the previous post about the 2nd list of strikers, I would have thaught they would be brown ideye, nwofor and someone else. As for gomis, alot of people are dismissing him now. Does anyone think that we still have a chance? I certainly would like gomis at the club and especially remy. I dont know if ive just been reading all of the negative comments on here though? Nothing is easy for Newcastle in the transfer window because MA doesn’t want to pay the going rate. Its not just a case of JFK not doing his job, it takes big Mike ages to decide whether to open his cheque book or not. Got excited there for a mo…thought it said leaving his job! Well, let’s wait for another 2 weeks. Hopefully some good news by the end of the day then after Joes interview. Wouldn’t it be a statement of intent if we got the two strikers a winger and McCarthy this week. I would like remy, gomis, ince and Moses but I’m expecting far too much I know. Personally I think we should be doing far more to keep gosling at the club but if he isn’t wanted then they need to move him (and a couple of others) out to make space in the squad. Too many average players in our squad taking up places that could be occupied by decent players coming in. not seen that mate, But to be honest with ya I don’t think it would be to much of a loss do you. Reposted from previous thread and drafted at a time when my eyes are still focusing in on the day. So, please bear with the rambling! He´s in good company … why do I support this team? POTENTIALLY BIG NEWS ALTHW NOT GROUND BREAKING! So Remy is in London? @12 Lesh. Very interesting post. Good read too. 2) The info given on our targets is an update on publically known targets, there’s no secrets. The agents involved will be giving this info to other clubs to try and secure the best deals for their clients. 3) The ‘body language CAN be an indicator’ and ‘eye contact CAN sometimes speak volumes’ is true, but is a generalisation, and should not be judged as fact. The greatest liars/cheats are the ones who can look you directly in the eye while lying…. some UK politicians come to mind regarding expenses claims and fraud! Got a bit too excited and sent this post early. Anyhoo, he’ll let me know if Remy boards their plane back into Toon. Hopefully could be good news. Agree not a great loss but if he’s on our a list then I’d dread to think who’s on the B list! I was talking with a friend of mine a few weeks ago about body language.He told me he read a article about it a short while ago that he found very interesting.He went on to tell me that conversation has 3 main parts (maybe another but he couldn’t remember ) which are 1/ content 2/ tone 3/body language.I can’t recall the exact %s but it’s something like 1/ 15% for content…2/ 10% for tone & a whopping 75% for body language. @Markaccus: Your logic will scare people. Let them have their misery. Definitely airport. They’re waiting for their flight back to Newcastle. Openness about pending transfers – absolute No-No. I’m sure DL and CM made a point of requiring selling clubs to maintain confidentiality while dealings were on-going. Maybe that didn’t always work, but it was fairly effective. I know we all want to jump on the band wagon and slag of Joe but any chance we could mention more the reason why he was at that cricket game yesterday? Thanks for your endorsements on the matter of body-language – it is but an indicator. I agree also when you say that some good liars can look on directly in the eye when lying. But, looking at listeners’ when lying can also indicate insincerity or lying as the speaker’s eye contact is too rigid. You cite our MPs in the context of expenses for example and on those situations, the language the speaker uses should be considered. ‘I am not guilty if any wrong-doing’ is an excellent example. The speaker may not have done a thing wrong according to the law or rules, but what he/ she has done may be perceived as morally wrong. Nut-meg, like you I can’t remember the percentage of non-verbal clues to dialogue and thus communication, is high and should not be discounted. Joe Kinnear, being a simple soul may have given away signs of uncertainty in his delivery and it may be that their are elements of transfer that are beyond his control – agents, owners etc etc. As there’s nowt we can do about his presence, we’ll just have to wait and see. And listen and watch. Again, a ramble so apologies to those who doze off trying to make sense of it! if he doesn’t know the job already then he shouldn’t be working at this level. We have no room for apprentices.